They are also well known for their paranormal activity and lingering spirits. 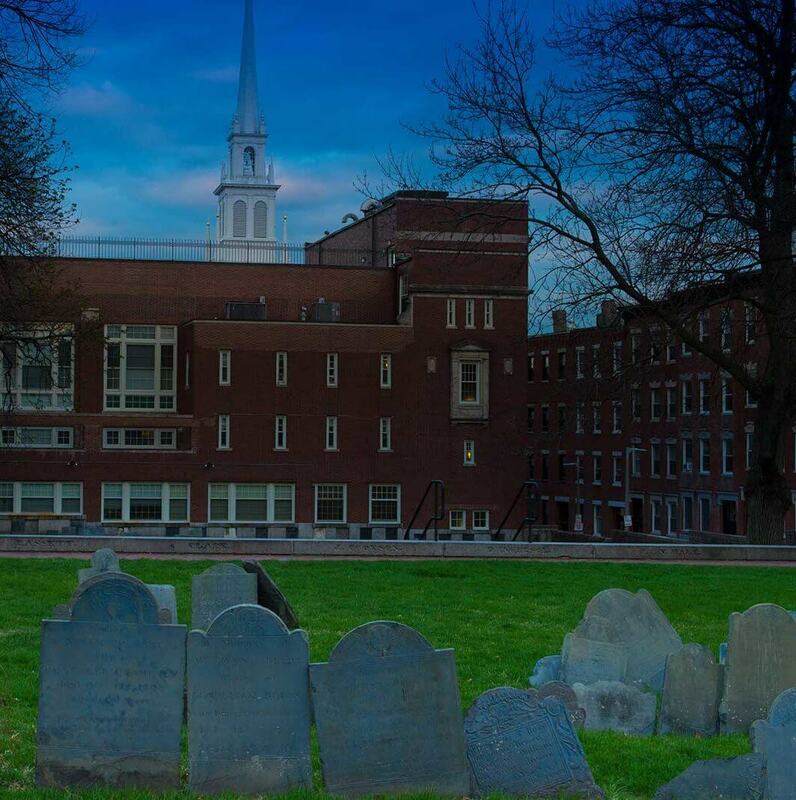 If you’re curious and interested in a ghostly encounter, stop in for a visit at some of the most haunted cemeteries in Boston. 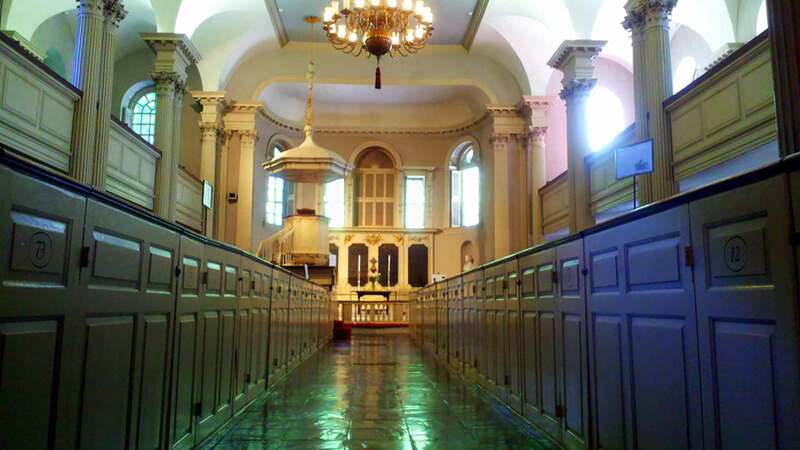 And among the many Massachusetts mayors, governors and other prestigious citizens, Samuel Adams, John Hancock, Paul Revere and Robert Treat Paine are also buried here. Although nearly 5,000 people are buried in Granary, there are less than half of that in headstones – sometimes more than 20 bodies were interred per plot to save money. Visitors to this picturesque site not only have a chance to see where many of America’s most significant leaders and visionaries are buried, they also have the chance for a supernatural experience. Many who’ve walked the tree-lined pathways of Granary have witnessed orbs floating about, seen full-body apparitions and have even captured ghosts in photographs. It is not unusual for one to feel a sense of sadness while walking amongst the graves or to sense someone is next to you when you can see no one there. It’s also not unheard of to spot the spirit of Paul Revere sitting upon his horse; so when you take a stroll through Granary, don’t be surprised if you run into this legendary patriot. 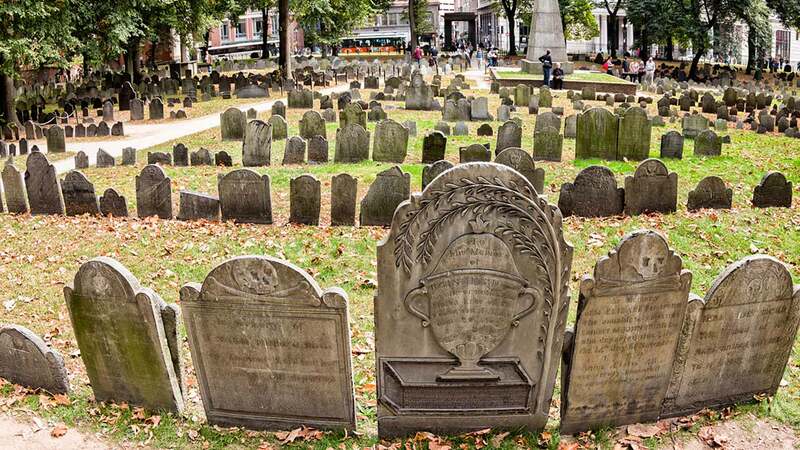 The oldest cemetery in the city, King’s Chapel Burying Ground is located on Tremont Street at King’s Chapel. It’s here that Mary Chilton, the first European woman to step off the Mayflower, is buried – as well as many other notable Bostonians including John Winthrop, William Emerson, Charles Apthorp and more. Spend some time roaming through these historic grounds and keep a watchful eye for strange and inexplicable sights. Some say there’s a ghost haunting the Strangers Tomb; others have heard the tales of the black-market body trading scandal that shocked the city in Victorian times. But one truth remains constant – it is not uncommon to see orbs of light glowing in the night and to hear whispers in the wind. In Copp’s Hill, the first bodies were laid to rest in 1660. With such a long past, it’s not surprising that many have reported paranormal experiences while visiting here. Reverend Increase Mather, who was largely involved in the Salem Witch hysteria, is buried here and many have told accounts of seeing his ghost haunting and taunting visitors. There are, of course, thousands of other souls residing in Copp’s Hill and many in unmarked graves or with headstones that are pockmarked with bullet holes as a result of the British troops using them for target practice. The dead here have been known to rise, especially at night, and those who’ve visited have reported seeing full-body apparitions, orbs and shadows and feeling an eerie sense of someone or something unseen touching them. Bring your camera and take a close look at all the photos you get; it seems many photos from Copp’s Hill have strange things appear that the photographers did not see while taking the picture. From disembodied faces to glowing balls of light and more, the only explanation is the spookiest one. A Boston vacation is one that will be filled with an abundance of history and incredible sightseeing experiences. It’s also a great time to discover the mysterious, paranormal side of this amazing city.